But is FCA willing to part with its Italian luxury brands? Rumors of FCA parting ways with Alfa Romeo and Maserati have circulated for years now. Initially, Jaguar Land Rover was seen as a potential buyer for the two Italian luxury brands. Later, Volkswagen was also considered as a potential target. FCA continues to go back and forth on its plans for the Alfa Romeo and Maserati brands, and a recent suggestion by one of the company’s investors may add further fuel to the fire. According to Automotive News, FCA is now being urged by one of its investors to spin off the Alfa and Maserati brands. ADW Capital Management, a longtime FCA shareholder, says spinning off the Alfa and Maserati brands could lift the automaker’s shares just like the recent spinoff of Ferrari. FCA clearly relies more on the US market, where Alfa and Maserati have had limited success. Instead, hot-selling models like the Ram 1500 and Jeep Wrangler led to the company’s North American operations generating 97% of the company’s overall profits. 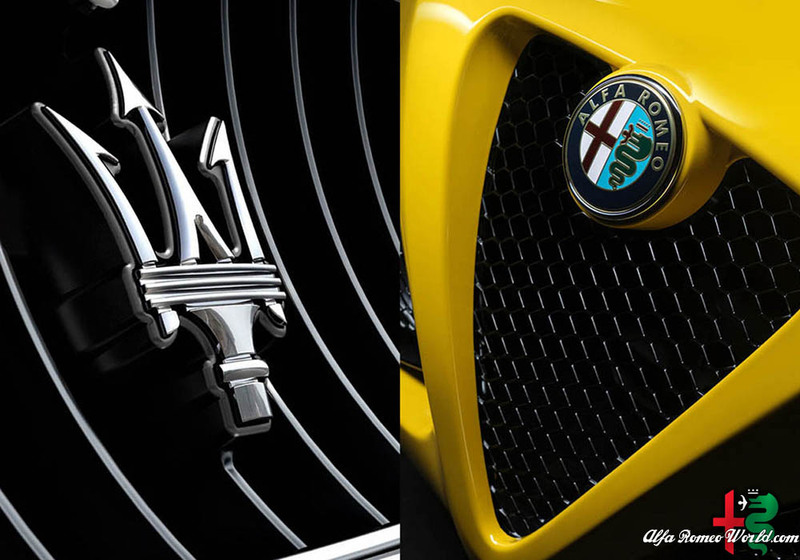 If Fiat wants to capitalize on its success in North America, spinning off the Alfa and Maserati brands could be a beneficial move. ADW has suggested a few proposals to help boosts FCA’s share price, which trades at a discount compared to Ford and GM. Some of ADW’s suggestions include combining the Fiat brand with a company like VW or PSA Group, spinning off or selling Alfa and Maserati, and merging with a North American peer such as GM. FCA hasn’t commented on these suggestions but its five-year plan, ending in 2022, states it will remain independent for at least five years. Clearly, the question of what to do with the Alfa and Maserati brands will continue to be a topic of discussion. Alfa had a strong 2017 sales year thanks to the Alfa Romeo Stelvio SUV, though it may still not be enough for FCA. Maserati is also in a state of flux, and the company’s next-generation models are still a number of years away. Ram and Jeep may be FCA’s strongest brands, but we think Alfa and Maserati can still be turned around.